To celebrate the Raspberry Pi’s fifth birthday Matthew “Raspberry Pi Guy” Timmons-Brown has created a new video, providing a glimpse of what has been created using the awesome mini PC by the Raspberry Pi community over the last year. The latest 2017 video expands on his annual creation and features many of the projects we have featured here on Geeky Gadgets, check it out below. 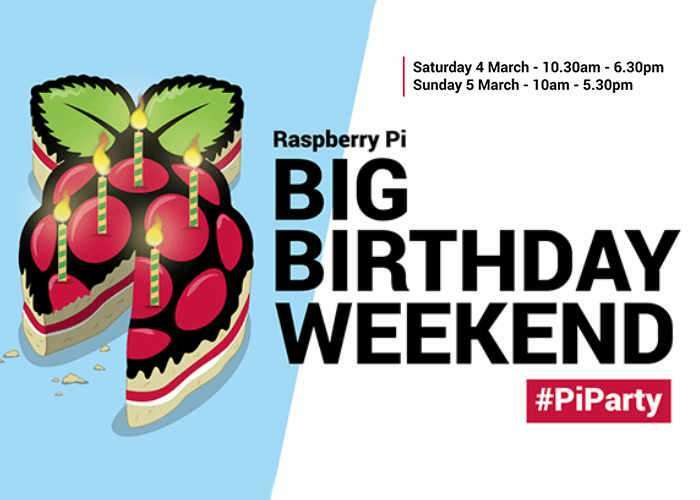 This years official Raspberry Pi Big Birthday weekend on March 4 – 5th, 2017. The Raspberry Pi Foundation Explains more about the celebrations that will be taking place this year during the 5th Big Birthday Weekend which will be taking place in Cambridge UK.